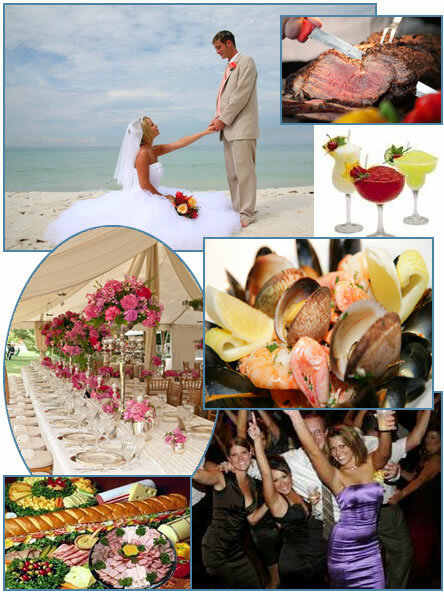 Over the years, Matthew’s Catering has earned the reputaton as one of Fire Island’s premier caterers. That’s because of our fabulous food, excellent service, and dedication to catering all types of events; such as Weddings, Cocktail Parties, Lobster Bakes, Barbeques, and more. We serve both on or off premise. We offer custom tailored menu development from an extensive list of perfected dishes. Allow us, with our professional staff, help you host a most memorable and creative event. Below are sample of menu choices for Matthew’s Catering Services. Note that these are samples only. We have an extensive list of choices and customization for you to choose from. We do recommend calling Jen Morano and consulting with her about your particular event. We look forward to hearing from you, and hope we can assist you on your special event. Thank you! Matty’s Market Clambake: Steamed lobster, BBQ baby back ribs, and baked clams, served with corn on the cob, corn bread and cole slaw.